Oliver Bussmann, CIO of UBS, says the blockchain technology underlying Bitcoin and other cryptocurrencies can pare transaction processing time from days to minutes. Under his leadership, UBS is building innovation centers where engineers work with startups to pinpoint viable mainstream blockchain solutions. Digital currencies such as Bitcoin threaten to shake up the financial services industry, enabling organizations to facilitate secure transactions more swiftly than today's asset exchanges. One global bank CIO is championing the technology as a key innovation that could be as disruptive as the Internet was 20 years ago. Now he’s exhorting other financial institutions to follow suit. Oliver Bussmann, CIO of Switzerland’s UBS, says that Bitcoin's blockchain technology, a decentralized digital ledger that verifies transactions between parties, can process trades, bonds and others in record time, ultimately improving the client experience. That untapped potential is a big reason why UBS is building innovation labs to test cryptocurrencies, among other digital technologies, for future use at UBS. 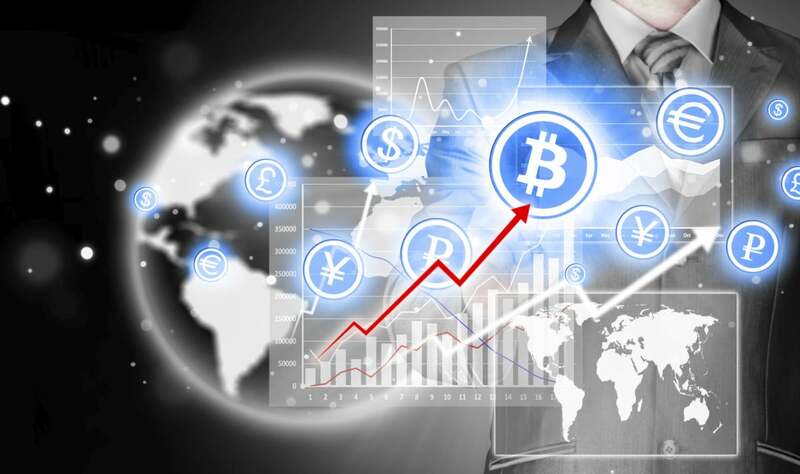 "Blockchain, as the digital ledger, will heavily impact the way we do business in the financial services industry," Bussmann told CIO.com. He expects a trusted blockchain solution could emerge as soon as the middle of 2016. Bitcoin and its ilk have been shunned by banking executives because they lack the backing of a centralized bank and have been used to conduct illegal transactions, such as buying and selling drugs and weapons online. Yet banks such as UBS, Bank of New York Mellon and the Bank of England have warmed to cryptocurrencies as renowned technology experts have championed the blockchain for its potential to shake up the financial services sector. Entrepreneur-turned-venture-capitalist Marc Andreessen, who cemented his status as a digital disruptor by co-creating the early Mosaic Web browser, called Bitcoin a "fundamental breakthrough in computer science" because the blockchain helps establish trust between unrelated parties over the Internet. Bussmann agrees. Banks have over the last two decades reduced settlement of stocks, bonds and other assets, which involves communications and vetting from multiple parties, from five to two days. That time lag between transaction and settlement time courts financial risk, Bussmann says. For example, someone who has purchased a stock for $100 could see its value fall to $90 by the time the settlement clears a few days later (due to a profit warning or some other negative news that causes traders to turn bearish on the stock), costing the buyer $10 in value depreciation. But financial services firms using a blockchain to facilitate trades could complete transactions in record time, because the technology serves as an unimpeachable authority that doesn’t require vetting between multiple parties. With blockchain, the $100 stock trade would close at $100 and the buyer wouldn’t lose money. Despite Bussmann’s bullishness on blockchain, the technology remains in its infancy, as the financial services industry is just beginning to explore the blockchain's potential. BNY Mellon, for example, says it is testing blockchain internally to see whether it can be used to motivate workers to complete tasks. To cultivate the industry's interest in the technology, Bussmann says UBS has launched innovation labs in London, Zurich and Singapore, where startups are attempting to build a blockchain solution that is secure, scalable, efficient and trustworthy. The company last week also announced "Future of Finance Competition," which includes a series of “immersion workshops” designed to encourage startups to develop their ideas for blockchain or other technologies that can advance global banking. Sponsorship by the CEO and board are all well in good, but the bank will have work with other banks and financial services entities to settle on a proper solution. "The banking industry, together with entrepreneurs and other institutions like stock exchanges and clearing houses will have to find a way to identify a good solution," he says. "You need counterparties to see if it's working." If someone establishes that, financial transaction volume swill shift toward the blockchain, he says. While Bussmann's enthusiasm for the blockchain is clear, the work was possible only after he showed progress in two other key areas since he joined UBS in 2013 from German software giant SAP, which under his tech leadership was among the first high-tech companies to roll out iPads for corporate use. He had to improve operational excellence by simplifying the bank's infrastructure, reducing reliance on servers and some applications. He also invested in transforming the business, including building mobile applications and improving online business processes for bank employees and customers. He says he’s had to "earn the right to spend time on innovation." "As an IT leader you have to prove that you have your house in order and that you have the foundation in place and that track record of delivery," he says.